Custom branded watches are a great way to say thank you to your clients. With an array of different shapes and sizes, it is easy to find something that suits your corporate image as well as something your client will be time and time again. 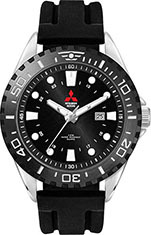 Custom branded watched are the perfect way to set your company aside from your competitors. What better way to be in the forefront of your clients mind then to be on their wrist every day? With prices to suit every budget, watches are also great for your marketing budget. Keep costs down with a budget branded watch or really make an impression with a high end watch. Why stick to just client? Watches also make a great staff incentive. Custom branded watches can be used to celebrate record LTI free days, employees that have hit long service milestones or a general incentive to keep your employees motivated. Contact the Silveradoh Promotional Products sales team today to discuss watch ideas for your company. Email sales@silveradoh.com.au or call 02 4956 7522. See our range of watches here.